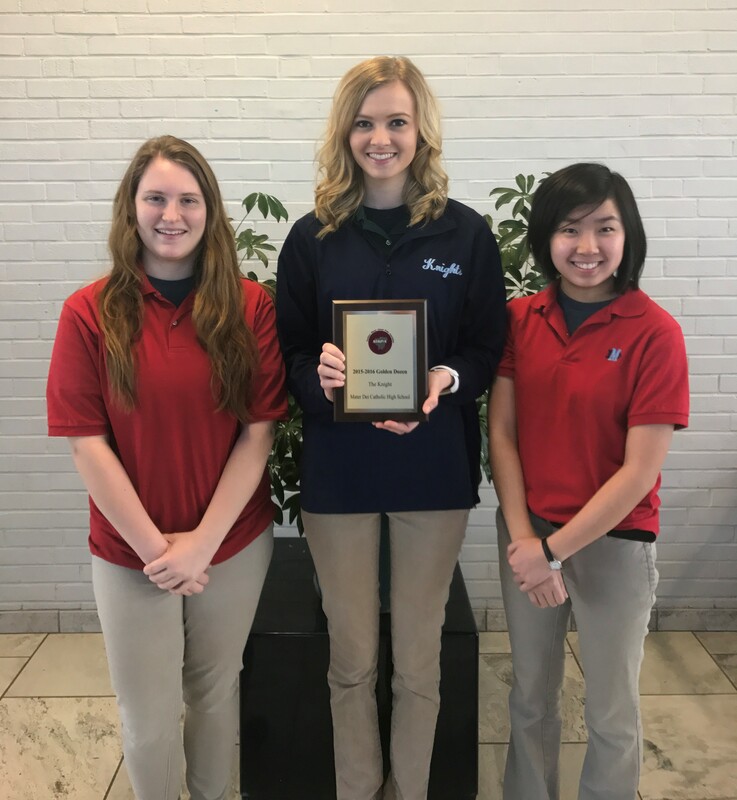 Pictured after earning a Golden Dozen Award at the 2017 SISPA Convention are the current “The Knight” yearbook editors (left to right) Sarah Maller, Sarah Schriewer and Annie Kuenstler. At the 2017 Southern Illinois School Press Association (SISPA) Convention held on February 22 at Southern Illinois University Carbondale, The Knight yearbook earned the prestigious Golden Dozen Award. This award recognizes the 2015-2016 Lights, Camera, Action yearbook as one of the twelve best at the convention. The 2015-2016 editors were Lindsay McCray and Taylor Padak, both members of the class of 2016. Mrs. Melissa Kunkle and Mrs. Pam Zurliene serve as moderators for the yearbook.